This year, 2017, we are celebrating 100 years of ICA. We are celebrating the ICA idea, which was created 100 years ago when independent retailers started cooperating in AB Hakon Swenson in Västerås. We have approximately 1,700 stores and 385 pharmacies. Our business model has been very successful and today we are a leading retail company focusing on food and health. We have approximately 30,000 employees based in Sweden and the Baltics. ICA Gruppen is listed on NASDAQ OMX and last year we had turnover of SEK 104 billion and operating profit of SEK 4.7 billion. Our core business is grocery retail and we have four supporting or complementary businesses: Non-Food, Real Estate, Banking & Insurance and Pharmacy. 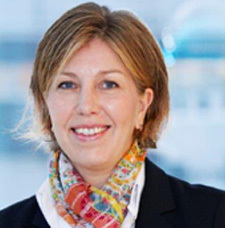 As the Corporate HR Officer for ICA Gruppen my role in the group is to implement and develop our People strategy and make sure that HR really adds value to the overall business. Every day. We strongly believe that the best result is achieved when diversity in its widest sense is present. We are all different, so let’s utilise our differences in the best way possible. One part of this is the advancement of women. We can clearly see how discussions, creativity and innovation reach new levels when the female perspective is present. Based on this, we carried out a study internally within ICA this year, in which it became clear that women have a greater ambition to make a career than men, and that is something we really want to promote. The result also showed that 64% of the women believe women tend to underestimate themselves, 29% of the men agreed on that statement. This is about attracting the best talents and secure our competence needs. But basically it’s about giving every employee equal opportunities to grow and contribute – no matter the gender. What diversity initiatives do you have going on in your organization? We have a number of ongoing programmes internally on this topic. “Driving diversity throughout our business is a crucial aspect for us as a major player in the market. We feel it is important for diversity to be a natural part of our business and we are striving towards diversity in many areas – one important factor being women in senior positions,” says Per Strömberg. We discuss the overall culture at ICA, how we can find role models and make them more visible, and how we can integrate diversity and gender aspects into the recruitment process and into succession planning and mentorship. In general, I think we need to talk about it and make it a natural part of our daily business. Not something that comes on top of everything else, but really integrated with everything else. In order to get there, we need to work on our unconscious bias and inclusion. We need to secure that our processes are competence-based and gender neutral. 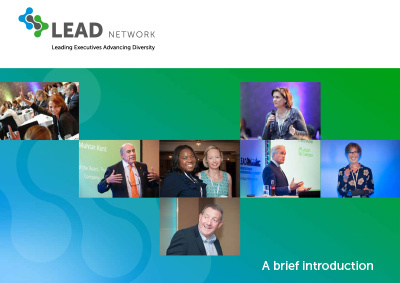 What role does LEAD play in reaching your organisation’s diversity goals? 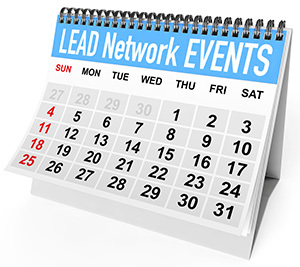 Being a part of LEAD gives us new inspiration through networking, newsletters and conferences. It’s important to learn from and share with others how we can inspire and promote women internally. All the members of our internal network for female senior managers are members of LEAD. Inspiration, energy and new ideas for how we can be even better at promoting female leaders. New knowledge and sharing with other members in the network. I am personally really eager to connect with new people and share experiences. This topic is really close to my heart.